While whole body cryotherapy triggers an internal systematic anti-inflammatory response, local cryo is a more powerful and efficient form of “icing.” Local cryotherapy is used to reduce pain, swelling and inflammation in specifically targeted areas. Temperatures of localised cryo can reach as low as -240°F and treatments typically last for 5-10 minutes generating a high-intensity reaction called thermal shock. This technique stimulates the cutaneous receptors and act’s on the body’s enzymes, vascular and lymphatic systems. 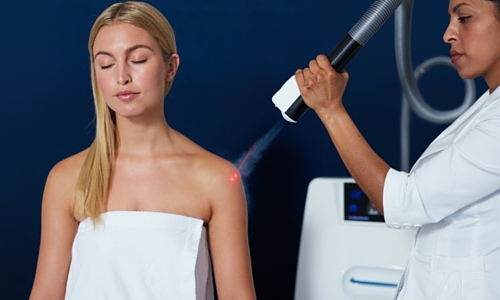 Local cryotherapy fights worn-out, overworked and inflamed areas of the body by constricting blood vessels in specific areas to decrease pain and inflammation.